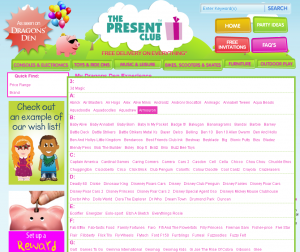 The Present Club is a unique website, it's primarily aimed at parents wishing to purchase their child (or someone else's) a gift, but cannot afford the cost on their own. All they have to do is create an account on the website, then add the product they wish to purchase to their "Wish List", they then pass a link to their wish list to friends and family who can each contribute as much as they please towards the cost of the products in the wish list. 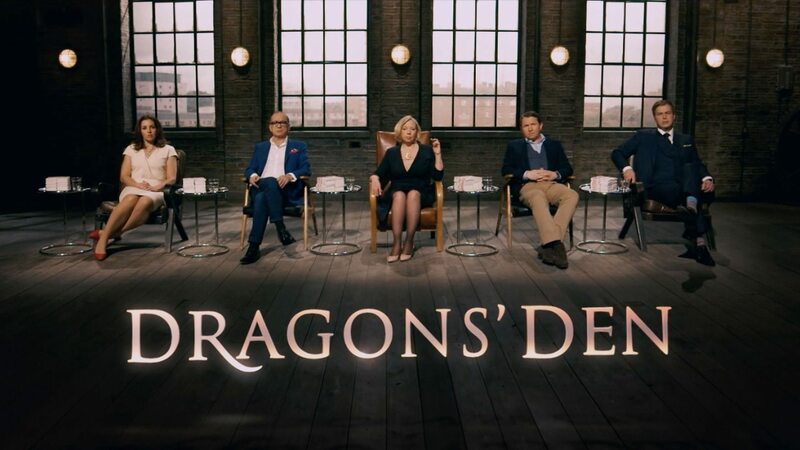 The company was featured on Dragons Den in July 2011 and secured £60,000 of funding. 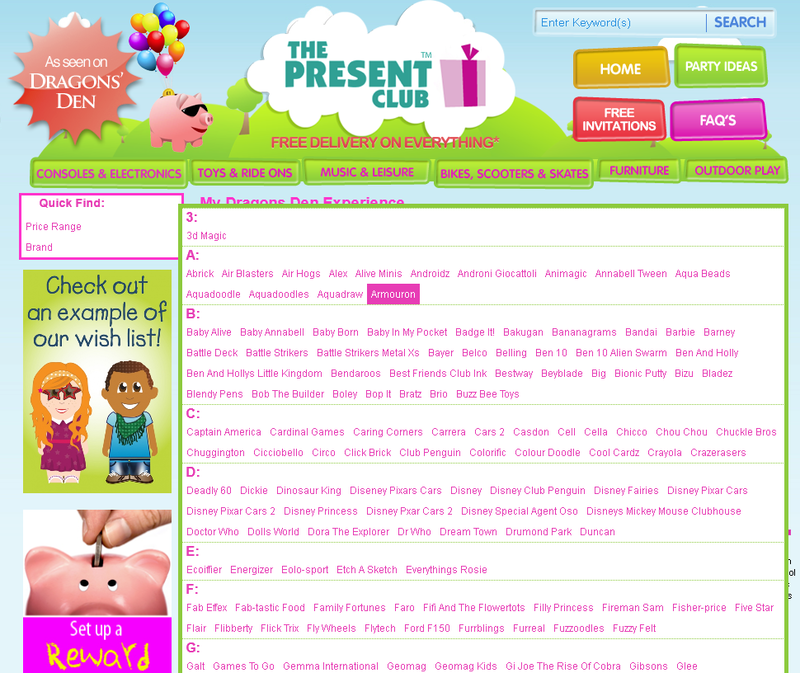 The Present Club was already operational and making money, and it already worked and functioned pretty well. 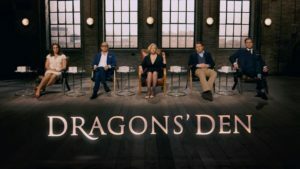 However there were a few problems with the site that needed to be addressed, I was instructed to improve some core functionality, and fix a huge list of bugs that was hampering the proper functionality of the site, all of which needed to be completed before the site featured on Dragons Den. The most prominent work I did was to add a "Quick Find" feature shown in screenshots below, basically it allowed site visitors to search by Price Range or by Brand. Searching by price range was pretty straight forward, search by Brand however was a little more complex. Firstly the client had instructed us she wanted the brands to be ordered alphabetically, with an alphabetic heading for each. But unfortunately some of these products were obtained from external XML sources, and a big problem was some products "brands" were misspelt or had "_" for spaces or no Caps for the first character. So I had to include some normalisation to the data so that everything was grouped correctly! 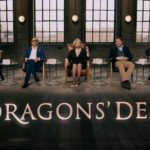 There was a number of problems with checkout, basket and product pages which needed to be addressed and also the menu bar on the site needed some re-working due to browser incompatibilities.